MotionCraft is a subsidiary company of the Pro Gym Co established in 1991. All MotionCraft products have been designed by a team of dedicated engineers and product designers. Not only are the products visually appealing and unique, Motioncraft also designs what goes inside. Eddy Current Brakes, Electro Magnetic Braking Systems, as well as motors and controllers for all products. Worldwide MotionCraft has over 100 patents protecting their exclusive designs. MotionCraftbringsg to the fitness industry a level of design skill and technical expertise that earns them the admiration of our customers and the envy of our competitors. The MotionCraft R101 Rowing Machine is a premium product, designed and built to the highest standards to give you the ultimate workout and burn some serious calories! 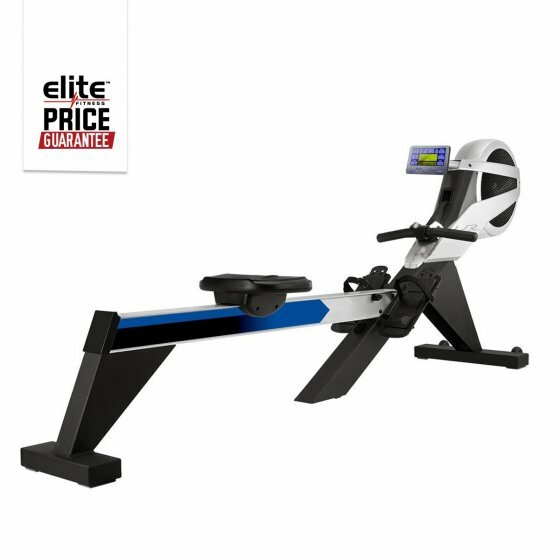 The R101 Rower features a sophisticated on-board console, that provides feedback such as Strokes, Calories, Watts, Time, Pulse, Heart Rate to give motivation for even the most demanding users. The R101 has a magnetic air resistance system. The R101 Rowing Machine stores data for up to 5 users and provides programs such as 1x Pace Boat, 1x Race Program, 2x Interval Programs, 4x Heart Rate Control, 1x Watts, 5x Personal Profile, 25x Profile, 1x Fitness, 1x Game, 1x Recovery. The super-smooth R101 is much quieter than competing models, yet is rugged enough to accommodate people up to 130kg in weight. The combination of superior technology and excellent build quality puts the R101 in class of its own.